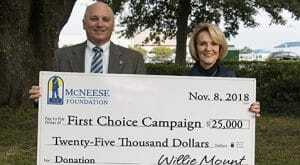 The McNeese State University Foundation has donated $25,000 to support the First Choice Campaign at McNeese. 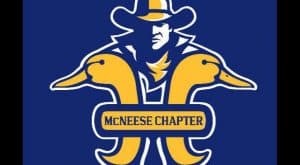 Local industry partners and contractors are investing in McNeese and the future of Southwest Louisiana through the First Choice Campaign, a three-year initiative with a goal of raising $1 million per year for the next three years. 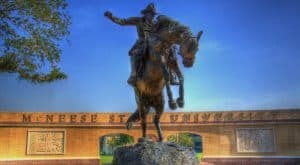 McNeese is a dynamic, nationally recognized, student-centered university and these funds will provide the necessary resources for sustaining growth and self-sufficiency over the next three years that will continue to make McNeese the first choice for Southwest Louisiana. Willie Mount, right, president of the McNeese Foundation Board of Directors, presented the donation to McNeese President Dr. Daryl Burckel.